Anna was a wonderful hostess. She was very kind, communicative, and helpful, especially when I locked the keys in the room. Our apartment was clean, comfortable, and had an awesome view of town. Everything is very close, so no need to get in a car for a few days! Lovely location & view. Parking close & good. Great washing machine & drying rack. Good olive oil &salt provided. Excellent folder to tell of local attractions. Good to have "bidet" in bathroom. Quiet, apart from church bells. Location was perfect. Apartment nice and clean. I wish it has more than one bathroom. Very clean apartment, good location. The host was very responsive and lovely. Big apartment with space for all 4 of us. It was in a perfect place in the town and it was very quiet. El apartamento para 5 personas está fenomenal. Muy bonito y cómodo. La anfitriona nos dejó todas las indicaciones para coger las llaves. Muy amable. Concedor estar acogedor. 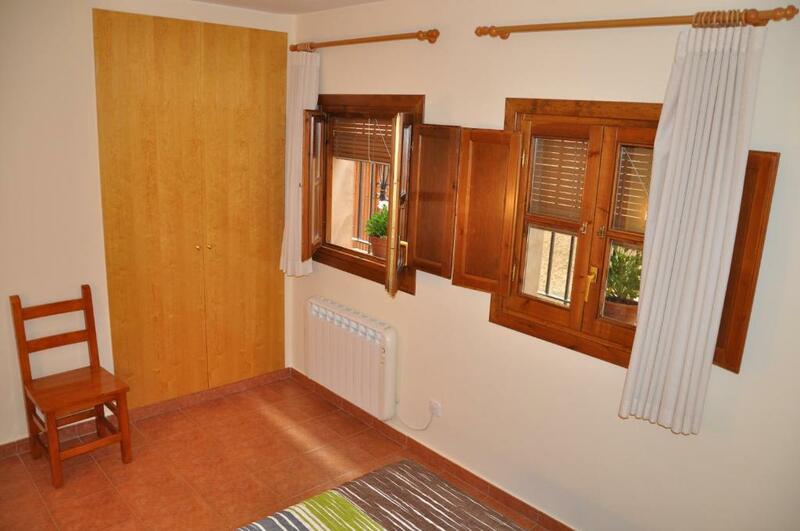 Habitación amplia. Baño amplio. Todo muy nuevo y en perfecto estado. 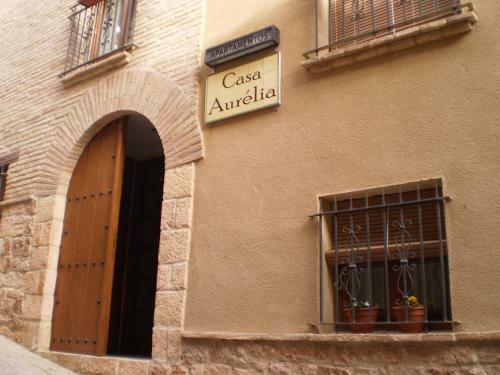 Lock in a great price for Apartamentos Casa Aurelia – rated 9 by recent guests! 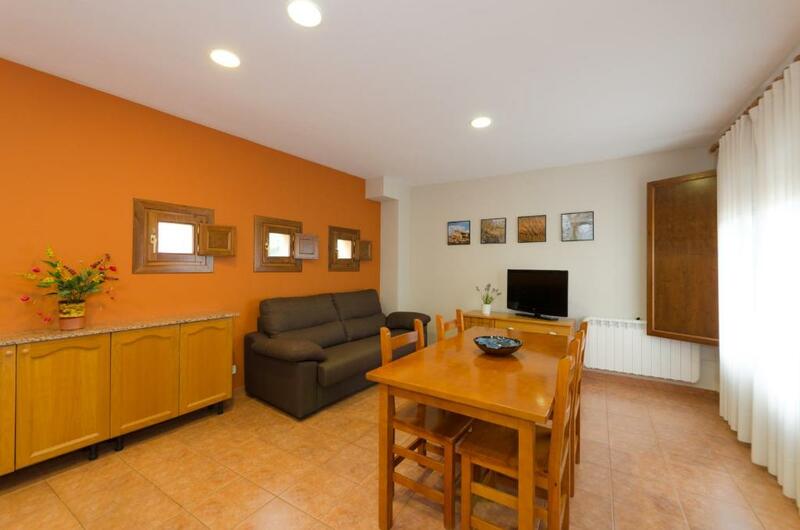 Apartamentos Casa Aurelia This rating is a reflection of how the property compares to the industry standard when it comes to price, facilities and services available. It's based on a self-evaluation by the property. Use this rating to help choose your stay! 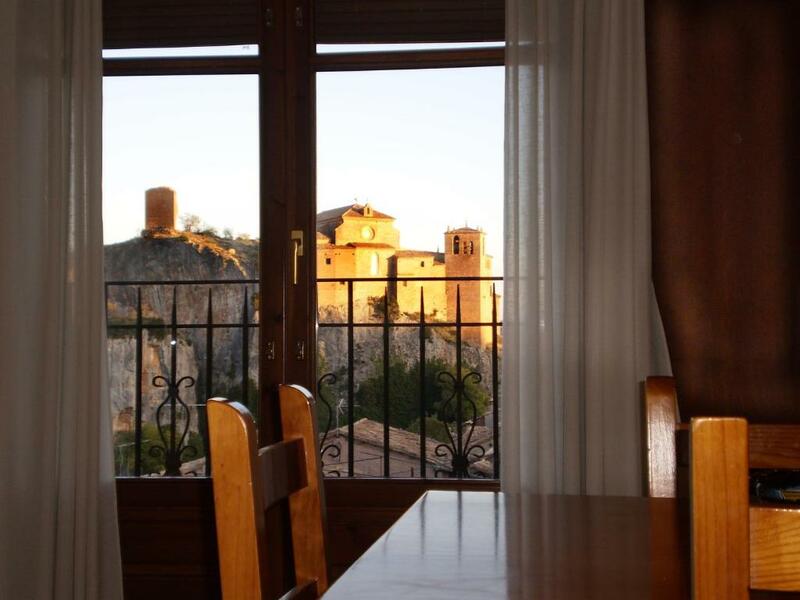 These rustic-style apartments are located in a characteristic town house in Alquézar's medieval Old Town, on the edge of the Sierra y Cañones de Guara Nature Reserve. Free Wi-Fi is available throughout. Apartamentos Casa Aurelia features bright apartments with 2 or 3 bedrooms and a spacious living-dining room with a sofa bed and a fully-equipped kitchenette. All are centrally-heated and include a TV and ironing facilities. Some have a private terrace. Cleaning and laundry services are available for an extra cost. Staff can give you more information about activities you can enjoy nearby, such as hiking, cycling and canyoning. You will find some restaurants and shops just 150 feet from Apartamentos Casa Aurelia. 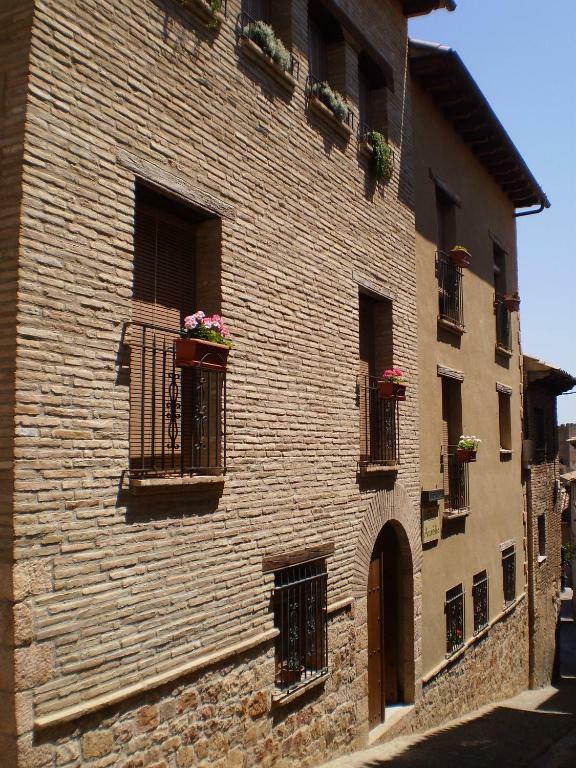 The nearest large town is Barbastro, 13 mi away. Huesca is about 45 minutes’ drive away. 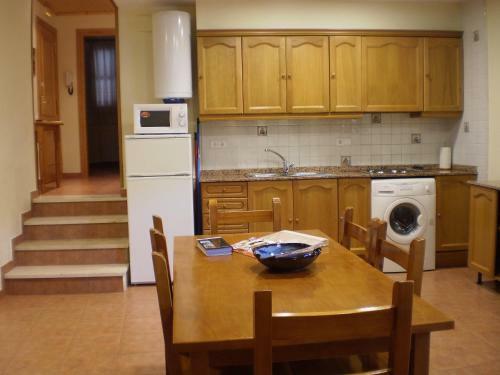 This property is also rated for the best value in Alquézar! Guests are getting more for their money when compared to other properties in this city. When would you like to stay at Apartamentos Casa Aurelia? 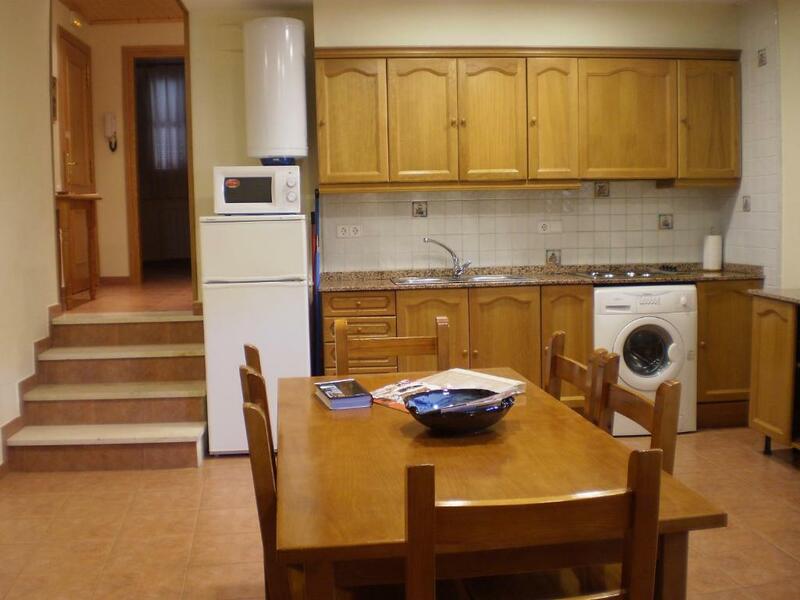 This bright, spacious apartment has 1 double and 1 twin bedroom. There is a sofa bed and a TV in the air-conditioned living-dining room and the open-plan kitchen is equipped with an electric hob, microwave, coffee maker and washing machine. It also comes with free WiFi. Some apartments have a small terrace. 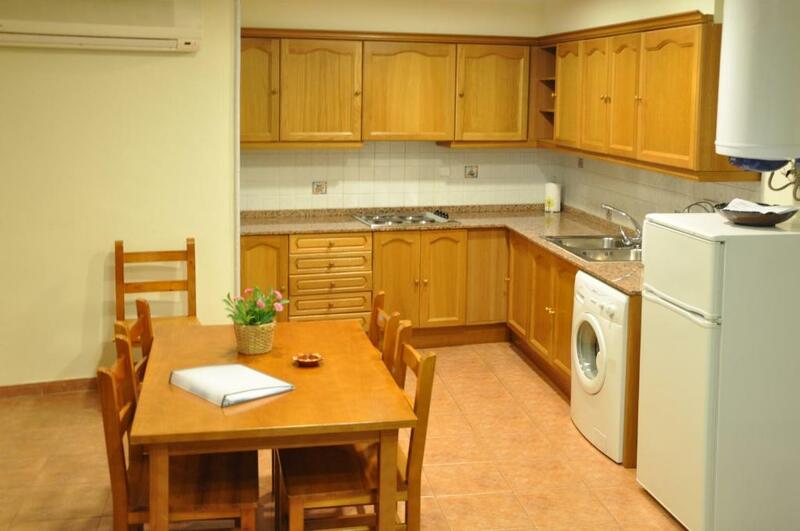 This spacious apartment has 1 double and 2 twin bedrooms. There is a sofa bed in the living-dining room and the open-plan kitchen is equipped with a stove, microwave and washing machine. There is free WiFi. Como la mayoría de las empresas situadas en las zonas rurales, Casa Aurelia es una empresa 100% familiar. Es un proyecto creado con ilusión. Una decisión de cambio de vida. Una idea de cambiar la ciudad por el pueblo y reencontrarse con las raíces maternas, las que también habían cambiado de vida hace casi setenta años, pero a la inversa y por otras circunstancias…. Nos gusta que nuestros clientes se sientan como en casa, por este motivo, el trato con ellos siempre es cercano y familiar. En definitiva, nosotros ofrecemos un alojamiento práctico y funcional porque creemos que el encanto de nuestro alojamiento lo tienen los clientes! Me gusta mi trabajo y la vida en Alquezar. Porque me permite estar cerca de la naturaleza y realizar mis actividades preferidas: el senderismo, el cicloturismo y la Btt. Casa Aurelia está situada en el centro de Alquezar y en el punto de partida de muchas de las excursiones senderistas de la zona. También se sitúa muy cerca de todos los servicios de restauración, supermercado, farmacia, panadería, empresas de aventura, etc. del pueblo. House Rules Apartamentos Casa Aurelia takes special requests – add in the next step! 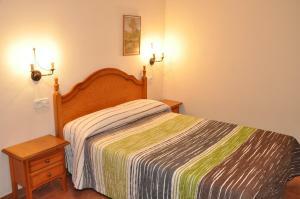 All children under 16 years are charged EUR 6 per night for extra beds. Apartamentos Casa Aurelia accepts these cards and reserves the right to temporarily hold an amount prior to arrival. Please let Apartamentos Casa Aurelia know your expected arrival time in advance. You can use the Special Requests box when booking or contact the property. Please note that there will be an additional charge for any damages done to the property. Please inform Apartamentos Casa Aurelia of your expected arrival time in advance. You can use the Special Requests box when booking, or contact the property directly using the contact details in your confirmation. No coffee, tea or milk provided. No wine glasses. Only 1 bathroom for 3 bedrooms, but we just managed as 2 older couples for 2 nights. The interior stairway is all tile with no acoustic absorption, so all sounds echo throughout the building.